Free for commercial use! 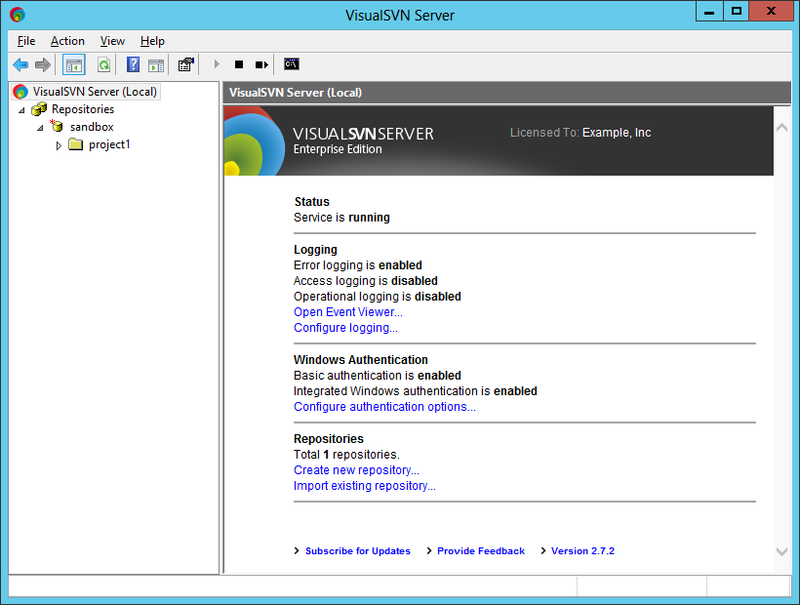 ## Notes - There is a single package for both Standard and Enterprise editions of VisualSVN Server. Upgrade to Enterprise Edition by entering a license key. See more about version differences on the official location.